We love tasty single grain whisky, which is why we were more than happy to bottle even more from the Invergordon Distillery in the Highlands! 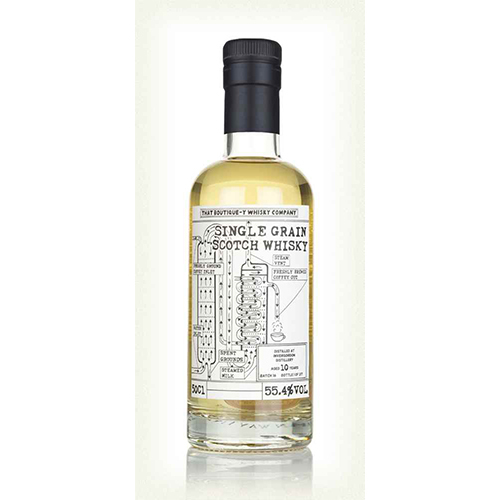 For a short while, there was a malt whisky distillery in the same complex as Invergordon, but these days Invergordon produces top quality single grain which ages in the cask very well indeed. Invergordon used to be home to some beautiful Coffey stills, so we thought we could include a technical diagram of a Coffey still on the label of our Invergordon. A very technical, scientific and completely accurate diagram. Sort of. Look, “Coffee” sounds a lot like “Coffey”, ok? Nose: At first there is warming cinnamon, hazelnut and burnt caramel, followed by hints of milky coffee. Palate: A thick mouthfeel with nutty praline and wintery spices like cinnamon, nutmeg and cardamom. Finish: The creamier flavours disappear to reveal a crisp and fresh finish with citrus and peppery flavours lingering.